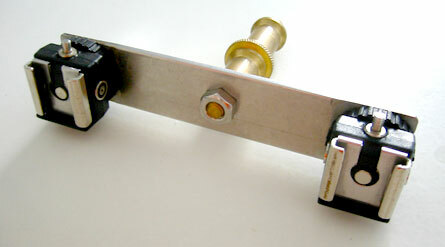 As I am building a new flash system, I currently made a “Dual Flash Bracket” for portable lighting. With this gadget I can mount 2 flashes on one light stand, which giving stronger light when I use it with a softbox. This bracket was done in guick. 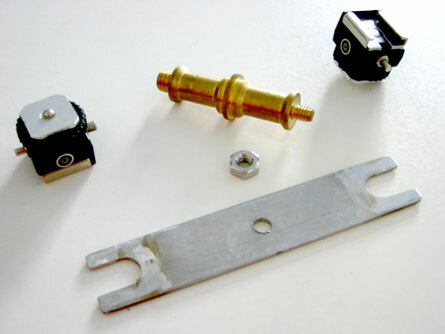 I cut a piece of metal (this is the most difficult part because this piece of stainless steel is pretty hard), then attached 2 flash mounts on both sides called “Hot Shoe PC Sync Adapter”, which I purchased on eBay. The next step is to figure out how to trigger both flashes simultaneously.